Total 8 Hours and 30 minutes. Ride in comfort of a Private Luxury SUV. This tour will make a stop at a Local Restaurant for lunch. Explore the most Haunted Plantation Home in North America. Pick up is at 9:00 am from your point of pickup in New Orleans Area. You and up to 5 of your guest will travel 2 hours and 15 minutes to St. Francisville, LA. At 11:15am you will stop at Magnolia Cafe a local Spot for lunch. Lunch is NOT INCLUDED IN THE PRICE. 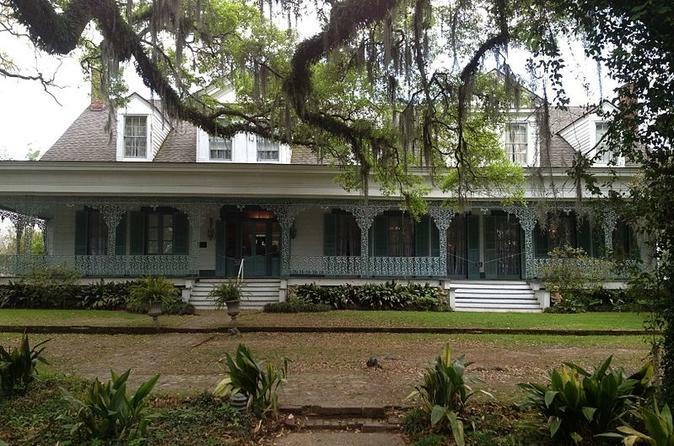 After lunch, you will spend 2.5 hours at the most haunted plantation in North America. The guided tour is 45 minutes and will have plenty of time to walk the grounds and explore yourself. This tour will leave the plantation at 3:15 pm and will return you to your point of pickup at approximately 5:30pm.